In the middle of a bustling area of Jaipur, Hotel NG Palace is an eye-pleasing pastel building with Mughal Influenced architecture; the finishing with floral artwork stands out in the hotel. The hotel offers the best of traditional and modern-designed rooms with a luxurious combination of furnishing. 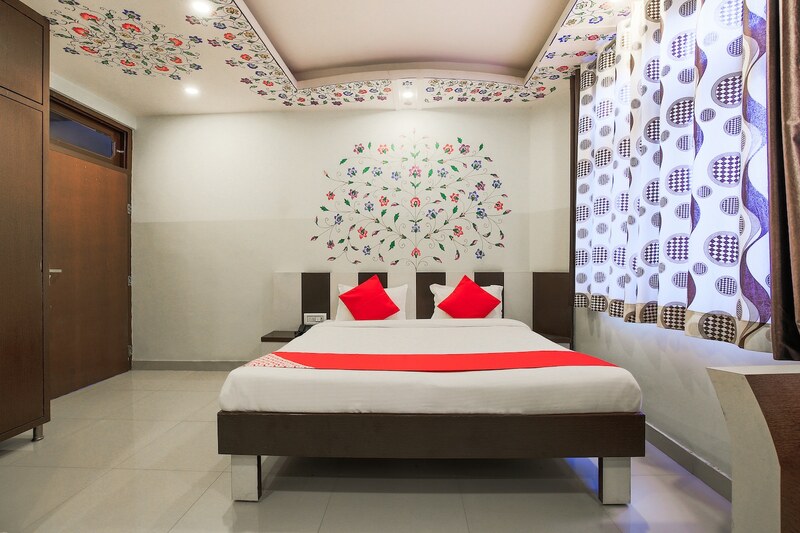 The rooms are spacious, clean and equipped with basic amenities making the stay of the residents relaxing and convenient. The natural light streams in the room from the window which is open to the mesmerizing view of an exciting market place and the city. The guests can avail the facility of free Wi-Fi to stay connected with the internet. Key attractions like Maharaniyon Ki Chhatriyan, Khate Shyamji, and Nahargarh Fort are near the hotel.